Each individual platform contains four highly accurate load cells with large capacities, capable of enduring the heaviest and strongest of athletes. Every load cell is individually calibrated and certified, while a strong aluminium top plate provides high levels of stiffness, guaranteeing a class-leading accuracy of over 99.98%. Alternatively, ForceDecks software can be directly integrated into your existing force platforms from AMTI, Bertec, Kistler or PASCO. The FD4000 is our flagship hardware product. 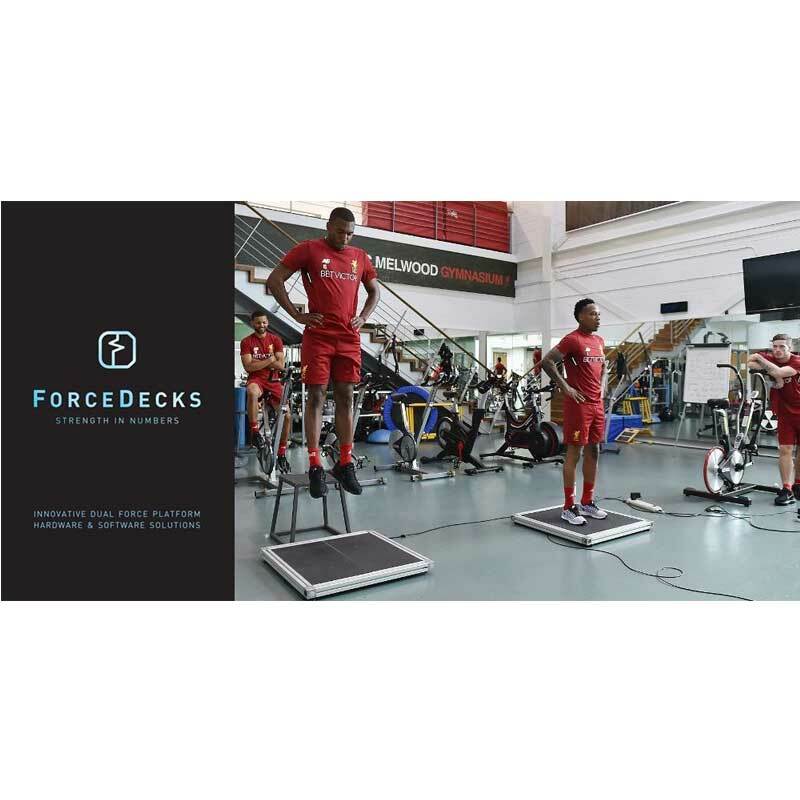 These platforms have a 2-tonne capacity, originally built to meet the requirements of some of the most powerful athletes on earth at the English Institute of Sport and have now also become the most popular force platform in the English Premier League. FD4000 featues a large area for jumps and landings, with each plate having a 350mm x 700mm surface area. FD4000s can be used freestanding or embedded into lifting platforms or floors. Much like the larger FD4000 system, the FDLite consists of a pair of force platforms, allowing evaluation of force asymmetries alongside bilateral force, velocity, impulse and power measurements. FDLite offers a significant weight reduction compared with FD4000 and a smaller yet still generous 485 x 300mm surface areas for each plate. This makes them ideal for users who require a portable or quickly movable system. FDLite maintains the accuracy and reliability that have become hallmarks of ForceDecks.